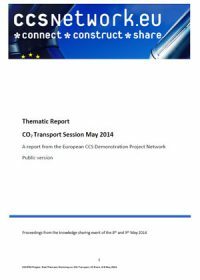 Challenges related to carbon transportation and storage – showstoppers for CCS? While developments in the capturing of carbon have historically garnered much attention, meeting the objectives and aspirations of the Paris Agreement will require a (shared) CO2 transportation and storage infrastructure that can service multiple sectors of the economy. In some areas, the use of CO2 in enhanced oil recovery (EOR) has spurred development of such infrastructure but this opportunity is not available to all and the scale of CCS deployment in coming decades requires much greater access to non-EOR storage resources. 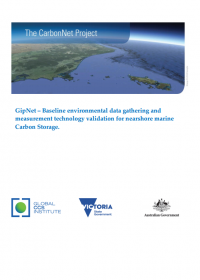 A growing body of research is examining various support models that could incentivise CCS. Concepts such as ‘splitting the chain’, or tailoring transportation and storage infrastructure development to help de-risk capture project decision-making, have emerged, along with consideration of various public/private shared investment models. 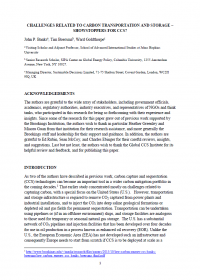 This policy brief adds to the emerging ‘chorus of voices’ on the importance of transportation and storage infrastructure development in facilitating global CCS deployment. The brief highlights the challenges that will have to be addressed to build out CO2 transportation and storage infrastructure to the scale necessary to meet global climate ambitions and recommends a number of focus areas for policy development and enhancement. As we look forward to the next five years and the putting in place of key enablers to global CCS deployment, this policy brief is a valuable addition to aid in public and policy discussion. 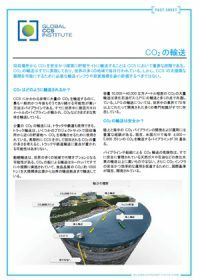 Japanese translation of Transporting CO2. National Grid Carbon (NGC) is developing a carbon dioxide transportation and storage system to support the provision of Carbon Capture and Storage technology in the Yorkshire and Humber region. Initially, this will involve the construction of a cross country pipeline and subsea pipeline for transporting captured CO2 to a permanent storage site in the Bunter sandstone aquifer located within Block 5/42 of the UK sector of the Southern North Sea. The initial CO2 load is anticipated to be supplied by the Drax power station and will be a maximum of 2.68 Million Tonnes per Annum (MTPA). However, with this load, the utilisation of the proposed CCS facility will be well below its capacity. NGC anticipates a second CO2 load from the Don Valley Power project to enhance the aquifer utilisation. In addition, NGC is also seeking to review potential options for up-scaling the CCS facility by transporting additional CO2 from Rotterdam via ship or pipeline into the proposed injection facility. 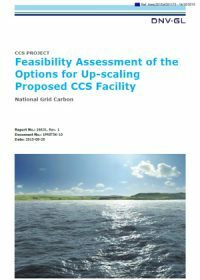 DNV GL have been engaged by NGC to carry out a feasibility study to assess two options for up-scaling the proposed carbon capture and storage facilities. Option 1 proposes to transport CO2 from Rotterdam directly to the injection facility in the Southern North Sea (Pipeline Option) whilst Option 2 proposes to transport CO2 by ship from Rotterdam to a reception facility on the River Humber, from where a pipeline will connect into the proposed CCS Cross Country pipeline at Camblesforth multi-junction (Shipping Option). Three flow rates have been assessed for each option; (A) 2 MTPA, (B) 5 MTPA, and (C) 7.32 MTPA. The findings and recommendations from this study are presented in this report. 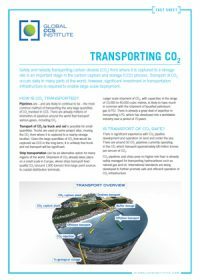 This fact sheet by the Global CCS Institute describes how carbon dioxide is safely transported during the carbon capture and storage process. 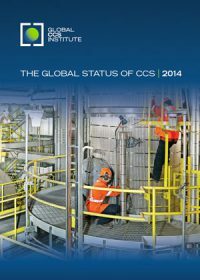 The Global CCS Institute is pleased to announce the release of our Global Status of CCS: 2014 report. The report provides a detailed overview of the current status of large-scale CCS projects worldwide, finding that 2014 has been a pivotal year for CCS, which is now a reality in the power industry. 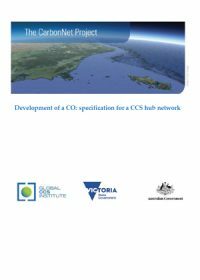 For the first time, the report introduces and provides links to project descriptions for around 40 lesser scale ‘notable’ CCS projects. The 2014 report focuses on a number of ‘notable’ projects in Japan. The Global Status of CCS: 2014 report provides a comprehensive overview of global and regional developments in CCS and what is required to support global climate mitigation efforts. 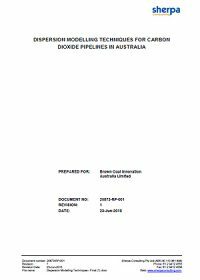 Providing a number of key recommendations for decision makers, The Global Status of CCS: 2014 report is an important reference guide for industry, government, research bodies and the broader community. 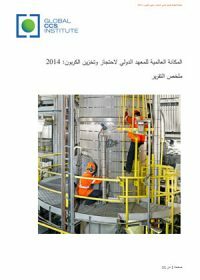 The Global Status of CCS: 2014 Summary Report provides an executive overview of the key findings and recommendations contained in the Institute’s Global Status of CCS: 2014 report. 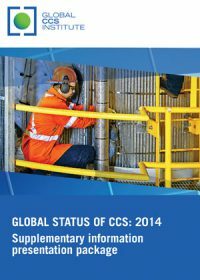 The Supplementary Information presentation package includes chart materials not included in the Global Status of CCS: 2014 report. This material provides additional detail on the status of large-scale CCS projects globally. When used in conjunction with previous status reports, it provides researchers with access to the world’s most comprehensive historical data set on large-scale CCS projects. تم البدء بتنفيذ أول مشروع في العالم لاحتجاز وتخزين الكربون على النطاق الواسع في قطاع الطاقة في شهر تشرين الأول من عام 2014 على محطة كهرباء باونداري دام في ساسكاتشوان، كندا. ومن المقرر أن يدخل مشروعان إضافيان لاحتجاز وتخزين الكربون على النطاق الواسع حيز التنفيذ في قطاع الطاقة- في مرفق مقاطعة كمبر للطاقة في ولاية الميسيسيبي ومشروع بترا نوفا لاحتجاز الكربون في ولاية تكساس في عامي 2015 و2016 على التوالي. ويجري أيضاً العمل على أول مشروع في العالم لاحتجاز وتخزين الكربون على النطاق الواسع في قطاع الحديد والصلب، ومشروع أبو ظبي لاحتجاز وتخزين الكربون في الإمارات العربية المتحدة. وهذه المشاريع الأربعة هي من بين 22 مشروع لاحتجاز وتخزين الكربون على النطاق الواسع التي يجري العمل عليها أو تنفيذها في جميع أنحاء العالم- وهو ضعف الرقم الذي كان في بداية هذا العقد.